As you know, I co-wrote a book, Covet Garden Home, that is slowly rolling out to brick and mortar stores this month. 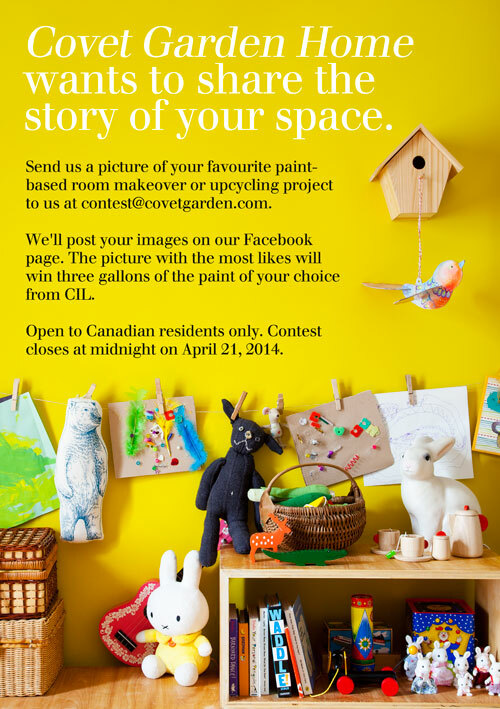 To celebrate, we’ve partnered with CIL to give away three gallons of paint to help one lucky Canadian resident make their next creative decor project a reality. So today’s freebie is for you: I am directing you to a cool contest. Enter today for your chance to win!